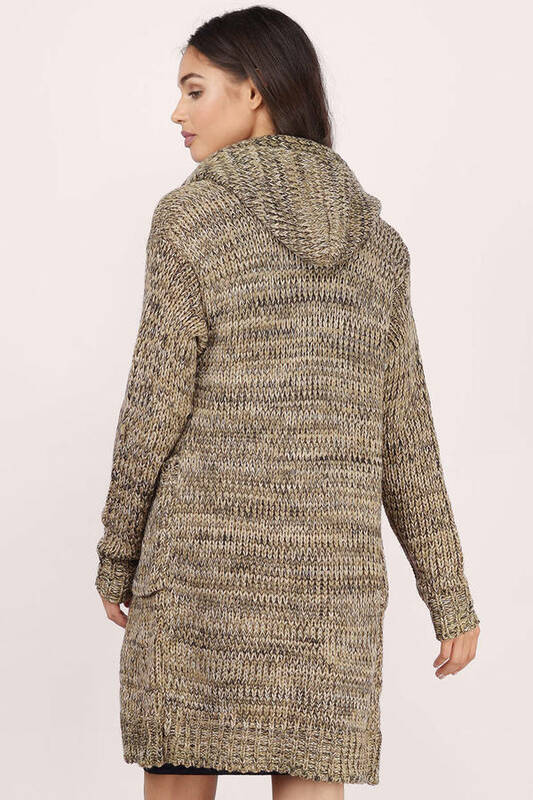 Check out Tobi's Fallbrook Cardigan Cozy on up in the Fallbrook Cardigan. Long sleeve open cardigan with a draped silhouette. Wear with a skater dress and boots. Cozy on up in the Fallbrook Cardigan. Long sleeve open cardigan with a draped silhouette. Wear with a skater dress and boots. Taupe Multi is modeled on a size Small. Cream Multi modeled on a size Medium.